The equivalent of flight mode for cars? 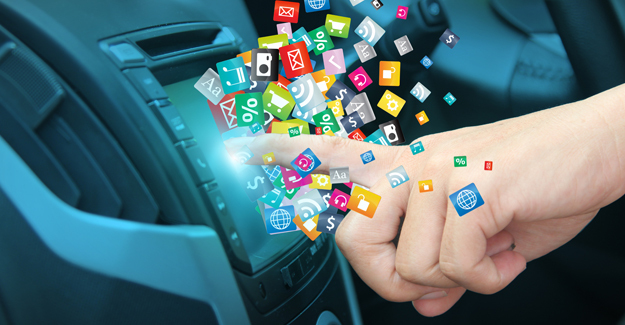 Drivers are increasingly connected to the outside world, both through in-built vehicle technology and also the portable devices they bring with them to the driving seat, including: mobiles, smart phones and watches, tablets and computers. But the ever increasing array of technology means the risk of driver-distraction is also increasing. However a survey by Ipsos MORI for the RAC Foundation shows the British public – drivers or not – recognise that connected technology has the potential to harm as well as help. More than two-thirds (69%) see information received from outside the car as a possible distraction to safe driving. Three-fifths (60%) of drivers say they would be happy to use a safe mode which would prevent such devices and systems doing anything to distract them. Some 9% considered online gaming to be important, which came bottom of the list. More generally, the bulk (77%) of the British public say that technology makes life better. Three in five (61%) of drivers say they are interested in connected driving technologies.